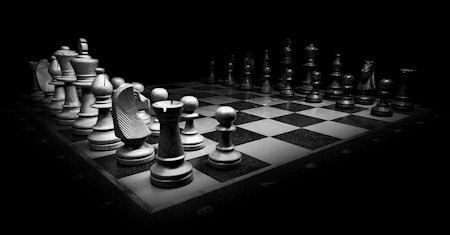 The development of competitive strategy is difficult because there are a lot of moving parts that might potentially guide the effort. Executives appreciate how the 3-Circle model simplifies the integration of customer, firm, and competitor analysis. Knowledge Management Strategies and Applications focuses on the way organizations can create knowledge, share existing knowledge, and disseminate them among the stakeholders, most importantly among the employees, managers, customers, and suppliers. This book offers an alternative to the traditional approach by focusing on building the change capacity of the entire organization in anticipation of future pressures to change. It offers a method for diagnosing your organizational change capacity. The book represents a forefront management development in today's globalised competitive environment. It introduces concept based discussion on business excellence as the ultimate measure of sustainable success for organisations across industries. This book emphasizes how three major tendencies in business -- networking, innovating and globalizing -- are achieved through a business model perspective and how business models and profitability to greater extent become intertwined. Written in an informal style, this book brings the concepts of effective risk management to a wider audience than that served by most books on the subject. It will benefit anyone looking to implement an effective risk management program. This book introduces new insights into new problems regarding performance and quality improvement, networking and logistics in the interconnected world, as well as developments in monetary and financial environment surrounding enterprises today. The deep roots of sustainability thinking are now evident in widespread and increasingly visible activities worldwide, and Sustainability, Innovation, and Entrepreneurship explores this evolution; its necessity, its implications and its progression. Thinking strategically requires research, analysis, and forethought. In this textbook you'll receive an insight into the strategic thinking. What does it take to formulate a strategy? And how does strategic thinking differ from normal thinking? Corporate social responsibility (CSR) has recently become central to the strategic decision making of every organization. This book introduces the reader to the issues involved and their application in strategic decision making.